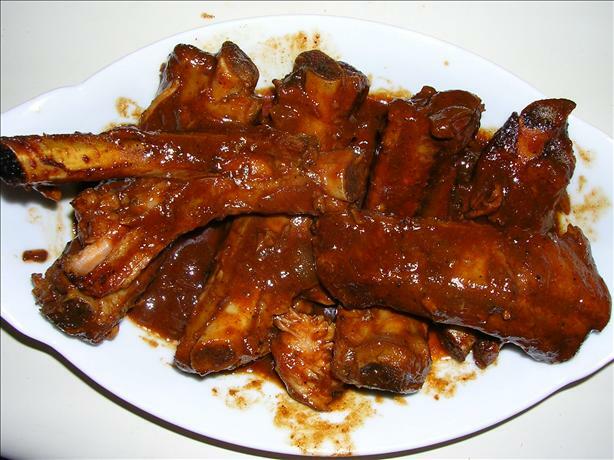 Sasaki Time: Slow Cooked BBQ Ribs (For Crock Pot) Recipe! 1 Do not pre-heat the slow cooker. 2 Dice up the onion, add to crock pot. 3 Rub the ribs with salt and pepper, add to crock pot. 4 Dump BBQ sauce on top. 5 Cook on low setting for 8-10 hours. 6 Try not to lift the lid too much. 7 The meat will FALL OFF THE BONE!